Bullbuster In Action: Bullbuster Ambassador Launches New Marine Art Website! Bullbuster Ambassador Launches New Marine Art Website! 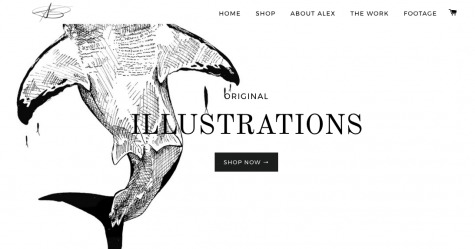 If you haven't been following #BullbusterAmbassador Alex Wexler already, you should be. Alex grew up fishing in New Jersey and moved down to Miami for college. We don't think he'll be moving back any time soon because he has found a way to combine his passion for fishing and art into a remarkable way to #SpendMoreTimeFishing. For Alex its not just art, its about the process. 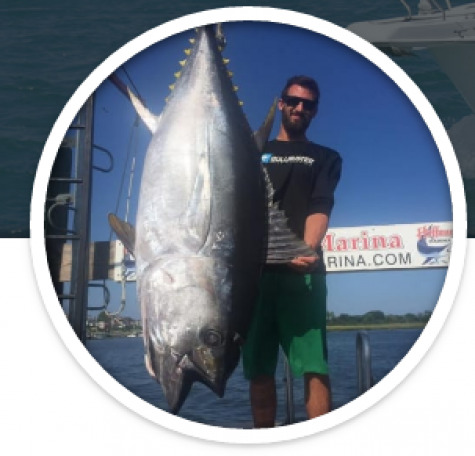 Alex Wexler with a bigeye tuna he caught out of New Jersey this past summer. We are sure that lots of you saw his last post on the process for making a sailfish Gyotaku. Now you can see more with his newly launched website "AWEX art". We hope that you enjoyed this article on the Bullbuster Community and checked out Alex Wexler's new website. . It is our mission to help millions of anglers spend more time fishing and that starts with YOU!